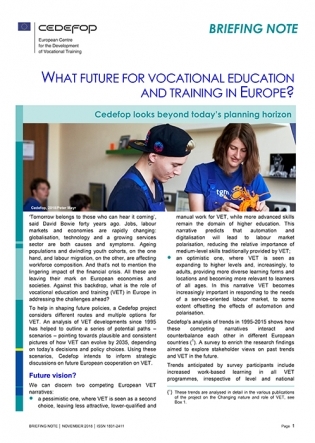 The aim of the Changing nature and role of vocational education and training (VET) in Europe project is to improve our understanding of how VET is changing in the European Union countries (including Norway and Iceland). 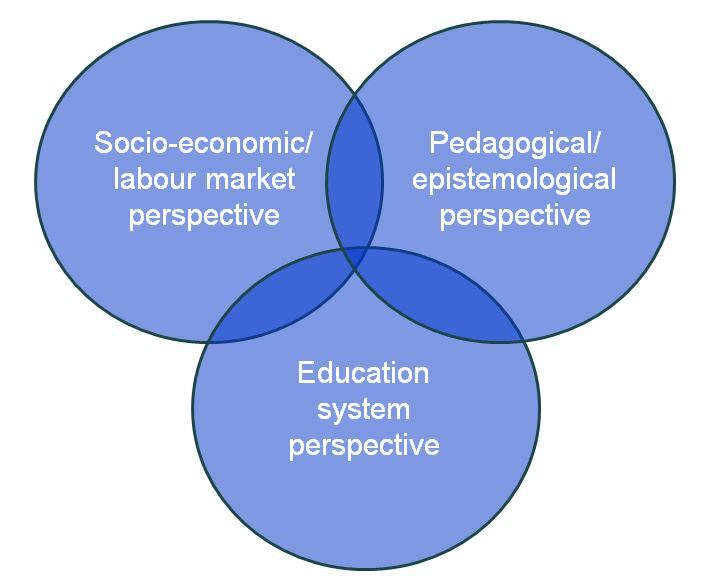 Over a three-year period (2016-18), the project will analyse how vocationally oriented education and training has developed and changed in the past two decades (1995-2015) and, on this basis, point to the main challenges and opportunities facing the sector today and in the future. Vocationally oriented education and training in Europe is changing. While traditionally associated with education and training at upper secondary level, VET is currently expanding and diversifying. In many countries, vocationally oriented education and training is being delivered by institutions outside the traditional VET sector, such as higher-level institutions (EQF 5 and above), companies and sectors. Operating at both national and international levels, todays’ VET is increasingly addressing the challenges of lifelong learning. The project attempts to take one step back and gain a deeper understanding of the VET system itself, its characteristics and dynamics, and its relationship to other education and training sectors. It aims to shed light into existing differences across Europe (EU + Norway and Iceland) and improve our understanding of change and developments over the past two decades. The project findings feed into the ongoing debate on European VET cooperation strategies post 2020. Cedefop has organised events on the topic of the changing role of VET, allowing policy-makers and practitioners to compare practices and exchange experiences. 2015: Cedefop organised the workshop: ‘The changing nature and role of VET in Europe’ to kick off the project. 2018: A workshop on future trends and priorities was organised in February and a scenario workshop took place in Vienna (Austrian presidency) on 11 July 2018. A VET conference in cooperation with the European Commission and the Austrian Presidency was organized in Vienna, Austria, on 7 and 8 November 2018. The event was linked to the European vocational skills week 2018 of which Cedefop was a partner.